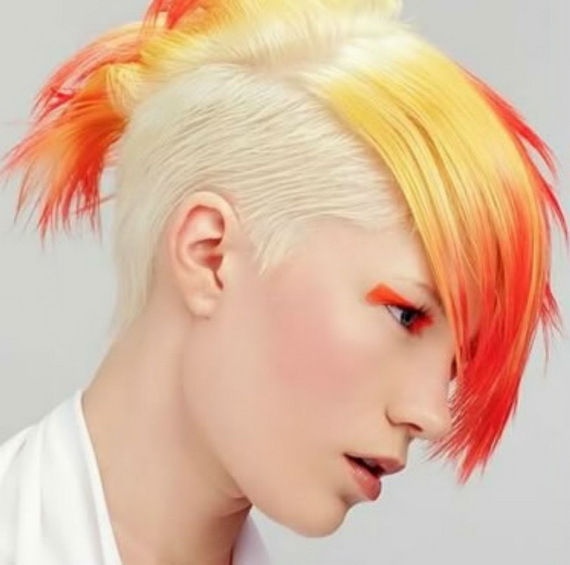 You can create crazy style on any hair length be it super short or long hair. The best hairstyle that will add edgy and funky touch to your image is Mohawk haircut that will be suitable not only for girls but also for boys. The length of Mohawk depends only on your preference; you can opt for shorter haircut with spikes or keep your hair longer for more dramatic look. The most important thing about this haircut is high class styling gel that will provide you with long lasting and perfect spikes. 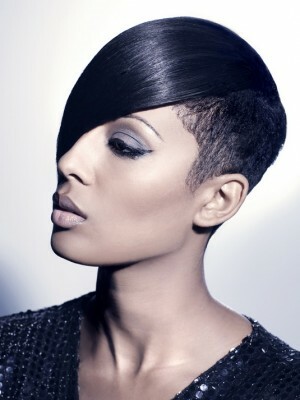 Next best trick that will add edgy and crazy twist to your haircut is combination of long and super short crops. You can wear half shaved hairstyle where hair is kept longer on one side and almost shaved on the other. Recently such hairstyle has become very popular among celebs and I must say that this style looks really crazy. 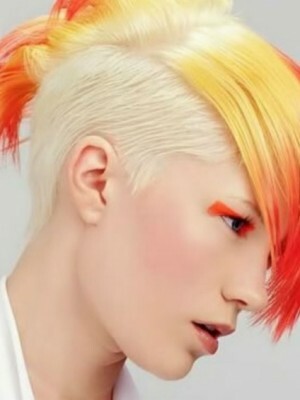 You can alsowear undercut hairstyle that doesn’t look so edgy and dramatic. Nickelodeon’s Kids’ Choice Awards was another great opportunity for celebrities to show off their smashing dresses and hairstyles. Indeed, this event was an amazing parade of stunning hairstyles and most of them have already become trend for millions of women. If you also want some new styling ideas to glam up your look, you can get inspiration from celebrity hairstyles of 2012 Nickelodeon Kids’ Choice Awards and practice your skills to create similar hot look. When it comes to formal events women often opt for classy up-do hairstyles but latest tendencies are all about simple and less sophisticated hairstyles like loose wavy or curly hair. If you are blessed with natural curls and waves you will have nothing to do but apply shine serum to glam up your look. Those who have sleek hair can also create wavy or curly hairstyle with the help of curling iron. For more relaxed and romantic look do not keep the iron to have soft and loose waves. You can get some inspiration from Selena Gomez, Heidi Klum and Emma Stone’s romantic wavy hairstyles.